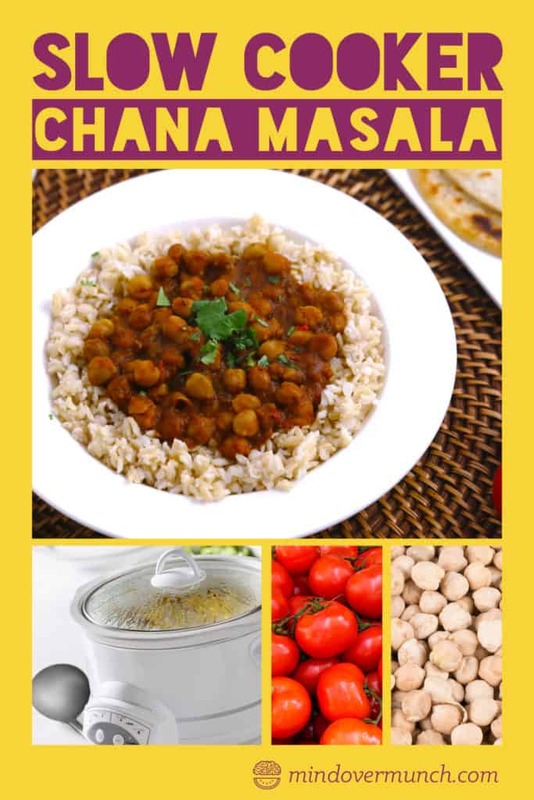 Chana Masala Slow Cooker Meal – Vegetarian & Indian Slow Cooker Recipe! Nothing’s better than a simple slow cooker dinner! And one with Indian-inspired flavors is bound to be a hit. This chana masala slow cooker meal is actually based on a classic Indian vegetarian dinner, chana masala. But, I’ve adapted it for the slow cooker! 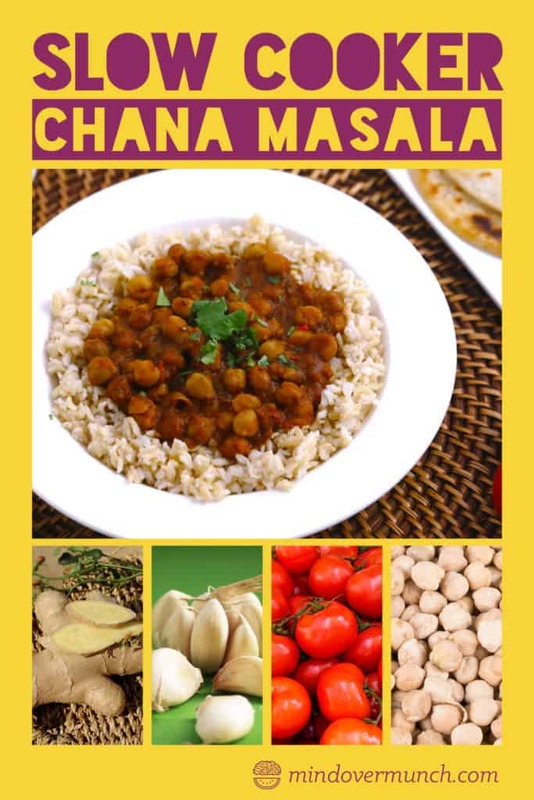 Traditionally, chana masala is a savory chickpea dish with protein coming from chickpeas, or garbanzo beans, rather than animal protein. 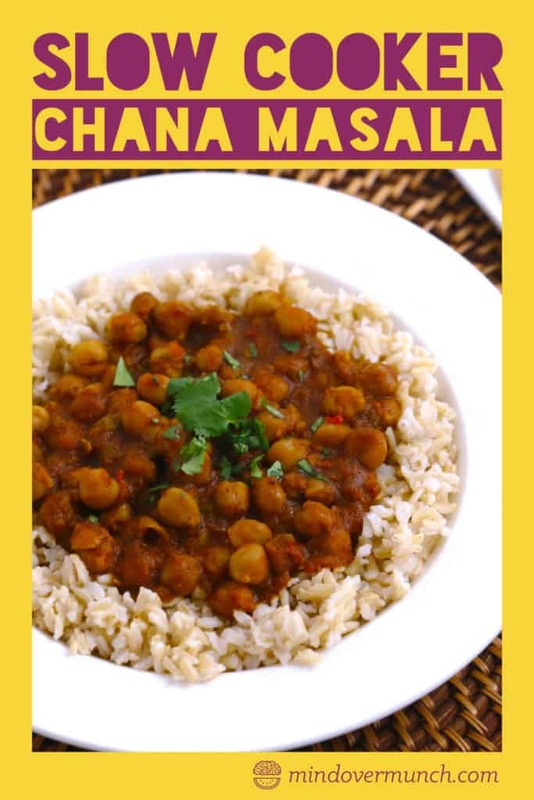 And, I’ve kept this chana masala slow cooker meal completely vegan, too—so take advantage of its flexibility to please any crowd! 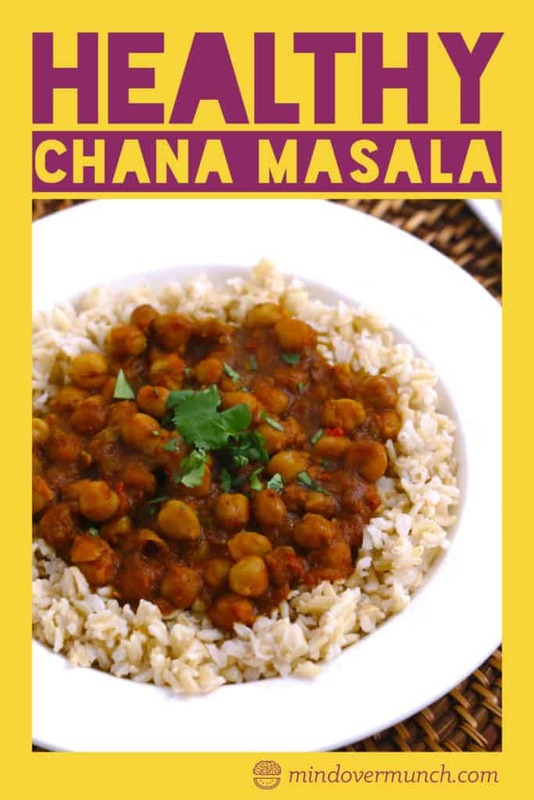 Chana masala is traditionally a lighter dish. Not only is there no meat or animal protein, but the protein-rich chickpeas, tomatoes, onion and anti-inflammatory spices make this a nutritious option for a meal, any time of day! I keep this Indian slow cooker recipe simple by using canned chickpeas. But, I drain and rinse them so I can be in control of that sodium. This keeps my life easy, plus canned beans are pretty cheap! Of course, if you wanted to kick this old style, you could of course soak dry beans and cook them yourself. But, if you choose to do this, don’t overcook your beans since they’ll continue to cook in the slow cooker. This chana masala slow cooker meal is so easy to toss together. And, it’s loaded with a TON of delicious flavor from the fresh ginger, chili peppers, and seasonings like paprika, turmeric and spice blends! Also, feel free to add any other spices or herbs you feel inspired by—many recipes include curry powder, ginger powder (as opposed to fresh) cilantro, etc. Personally, I use a chana masala seasoning blend that I found pre-made. But, you can use a garam masala seasoning (available in most grocery stores) if the chana masala one is not accessible to you. 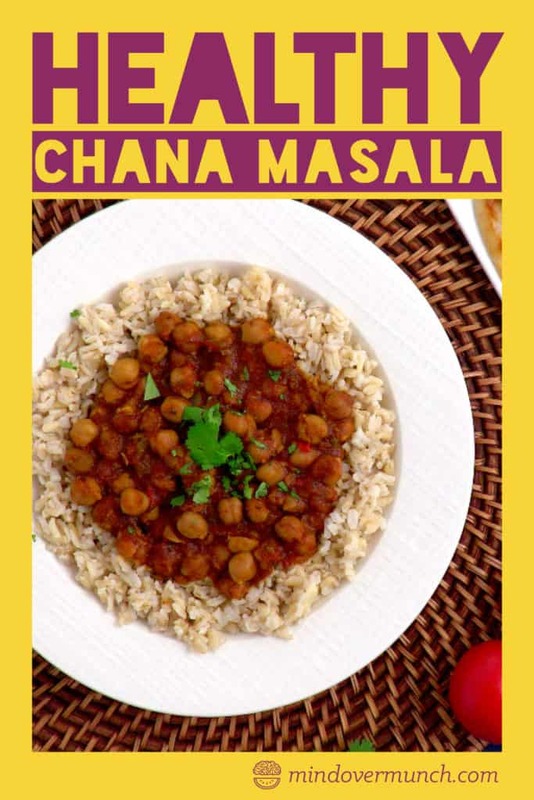 A traditional chana masala is a blend of various ingredients like dry pomegranate seeds, coriander, cumin, cardamom, black pepper, cloves, cinnamon, chili powder, black salt, and more! Garam masala, on the other hand, is a blend made with much more common and accessible spices. 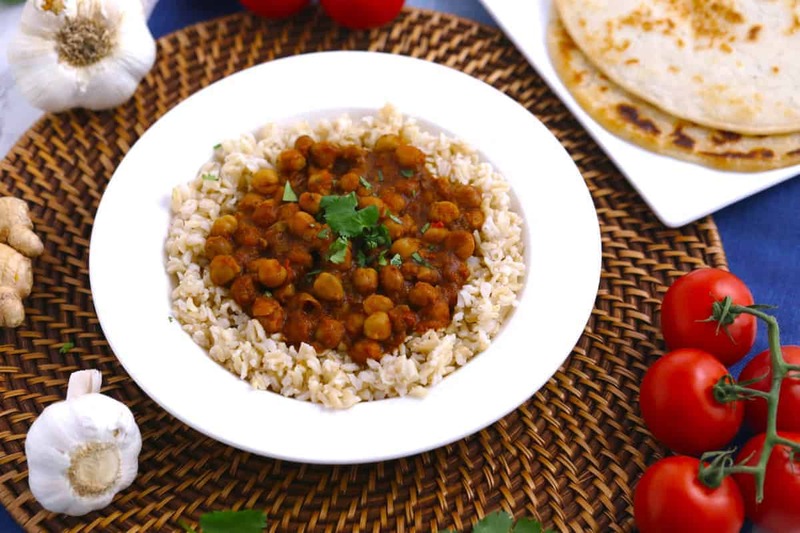 It’s sure to do the trick for this chana masala slow cooker meal! This chana masala slow cooker meal makes weeknight dinners effortless—just add all the ingredients to your cooker and let it go! Slow cooking infuses all of that flavor into the protein-packed and fiber-filled chickpeas for a quick weeknight vegetarian dinner. Serve over brown basmati or long grain white rice, with naan, or however you like! It’s delicious fresh and warm, but I actually also really enjoy this dish cold. And, it makes for great leftovers and can be enjoyed on its own, or with other warm or cold components! Looking For Easy Vegan Meals like This One? 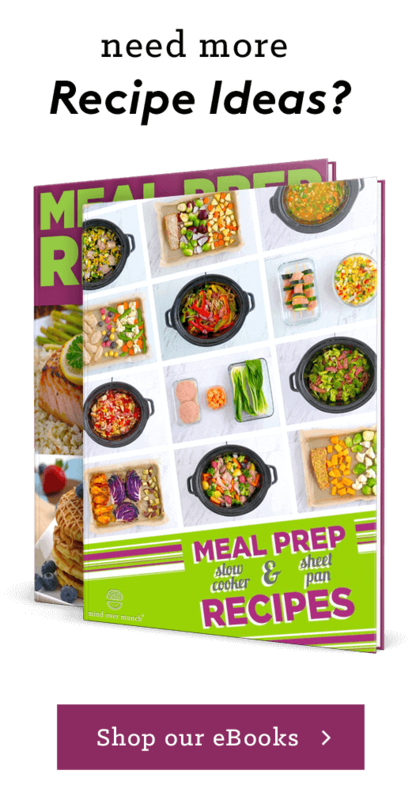 You might like my 100+ Healthy Vegan Recipes eBook! Pour cooked mixture into slow cooker and add remaining ingredients. 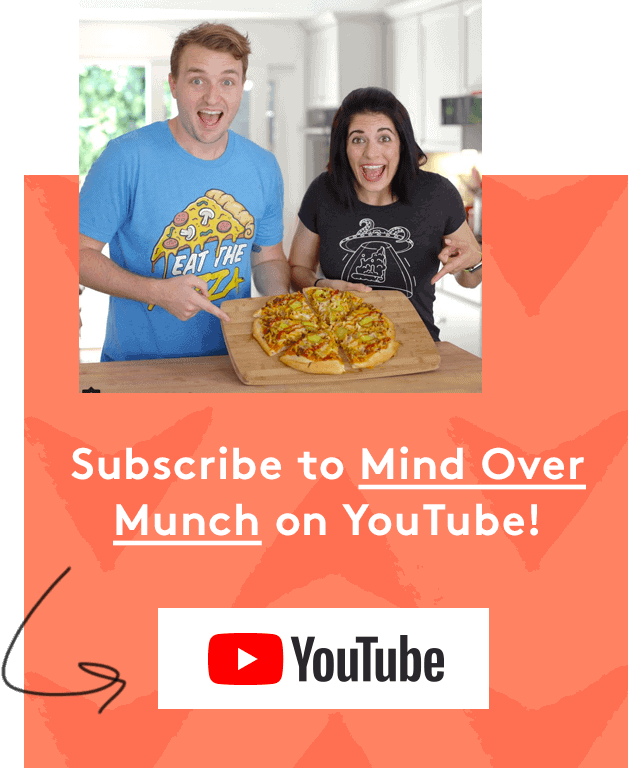 Or, you can just toss all of your ingredients into the slow cooker without doing the optional pre-cooking step! Serve over brown basmati rice, with naan, on a salad, or however you like! 3 Vegan + Budget Dinner Recipes! Collab with Fablunch!